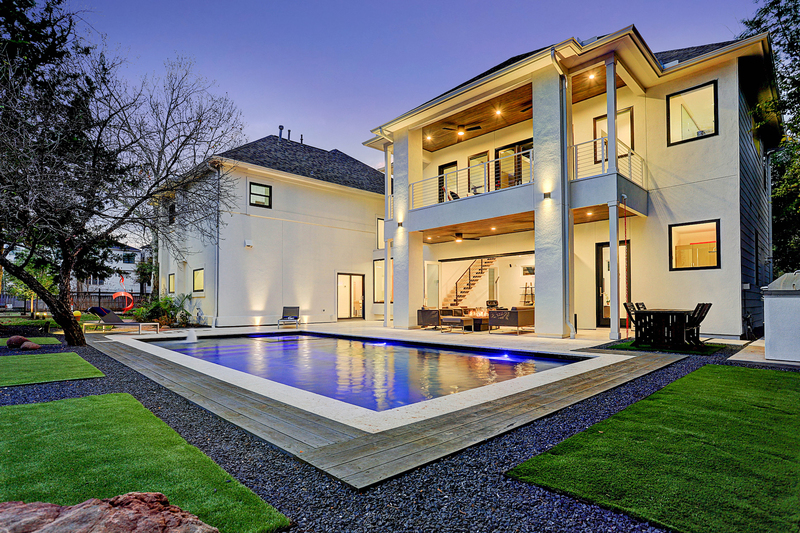 Built in 1993 but expanded and renovated in 2018, this modern masterpiece in Houston offers open space, clean lines, and practical design. Consisting of two wings joined by a floating walkway, the home is unified with thoughtful threads of continuity. 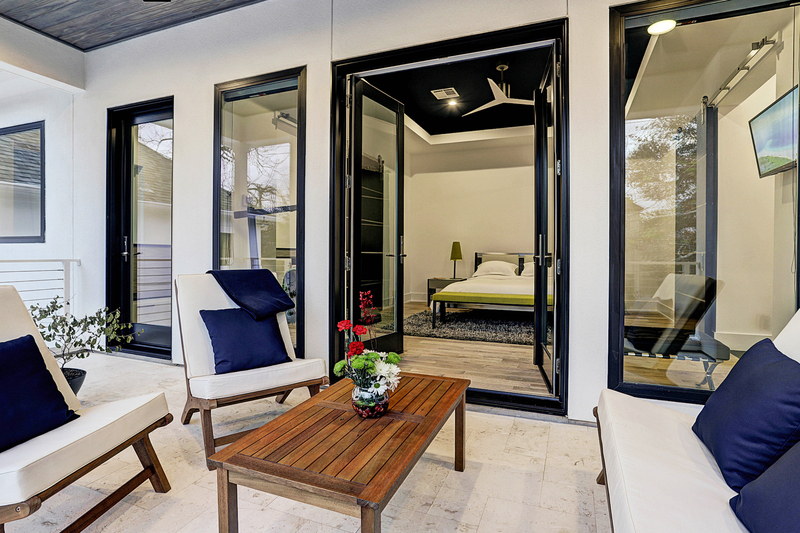 In the living area, accordion glass doors open to combine the interior and exterior spaces. 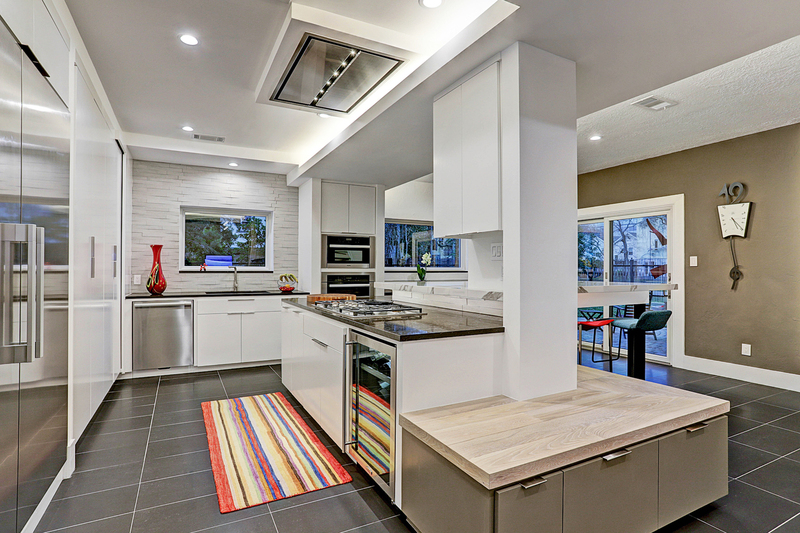 In the kitchen, marble and stone counters contract crisp white cabinets and stainless appliances. Large windows run the height of the soaring two-story ceiling in the dining room. Custom mahogany and stainless doors repeat in the entry, garage, living room, and in the large owner’s retreat, which features white oak floors and access to a sweeping travertine balcony mirroring the patio/pool below. The owner’s bath offers freestanding tub, oversize shower and deluxe closet. A full second retreat could serve as a gym/flex space. Symmetrical secondary bedrooms feature chestnut floors. Ideally located on a large corner lot, every detail of this home reflects practicality and purpose. The pool area also includes an outdoor kitchen. 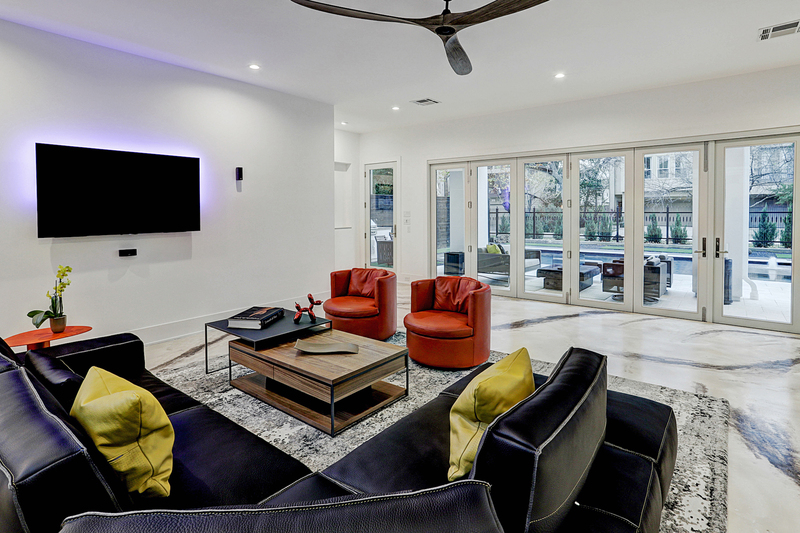 This home is listed for $1.775 million with John Daugherty, Realtors, an affiliate of Luxury Portfolio International®.